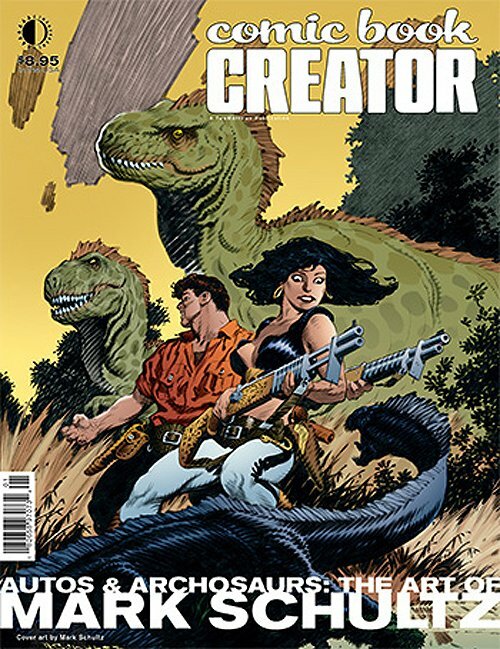 Click Here To See Comic Book Creator Magazine #15 Comic Book! Check out the STUNNING detail in this original cover for the cover to Comic Book Creator Magazine #15, as well as for the cover to a book titled: "Xenozoic Cornered" Drawn art image measures 10.8 by 14.8 inches on 14 by 18 inch art board. Art was created with brush and ink for a stunning result! The detail on this beautiful cover cannot be captured on the scan as the actual line work is quite extraordinary! The backgrounds on this incredibly detailed cover are as amazing as the main figures! 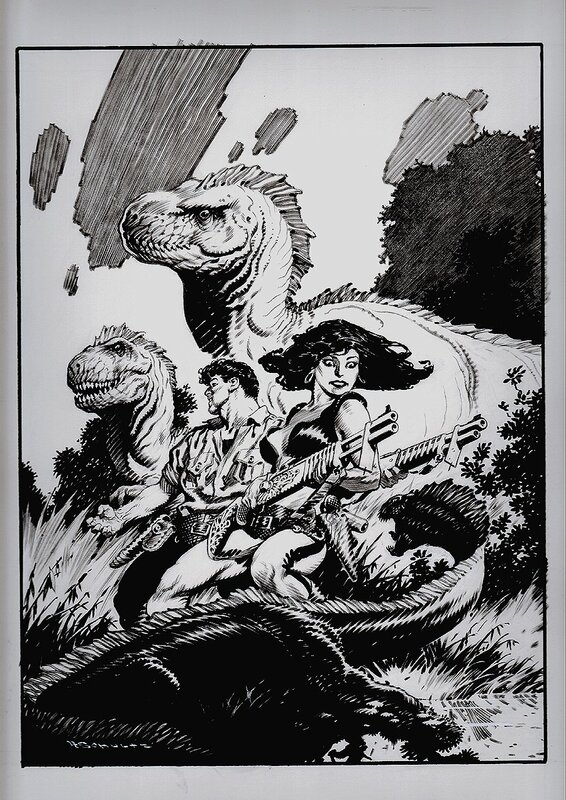 Mark Schultz is the current day DAVE STEVENS, known as the MASTER of brush work. Don't let this one slip through your fingers! Just a great cover! Compare this nice cover art to the published magazine in the red link above! ALL art on our website (including this one) are able to be purchased with VERY fair time payments, and trades are always considered towards "ANY" art on our website! Just send us an email to mikeburkey@aol.com and we can try to work something out.